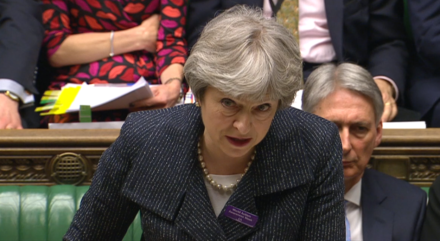 The Windrush scandal and the Prime Minister’s forced apology ahead of the Commonwealth summit in London, a Lords defeat intensifying pressure on the government to change its position on a post-Brexit customs union, “serious questions” over a dodgy party donor, and further council by-election losses yesterday. It’s been a terrible week for the Tories. Buzzfeed’s scoop is stunning. It appears HMRC officials refused to help the French investigate a British company suspected of tax fraud and money-laundering. In doing so, they claimed it was “of note” that Lycamobile was the biggest corporate donor to the Conservatives under Theresa May. Top marks for colourful comment, but a big fat zero for accuracy as another HMRC spokesman later verified the “regrettable” email. The Treasury committee will now have to question HMRC staff about the revelations. As John McDonnell pointed out, “the fact that a Tory donor could be allowed to potentially subvert the system will look bad to taxpayers who play by the rules”. The optics are particularly bad when you look at the story alongside new analysis that shows Labour strongholds are hit hardest by Tory cuts. Today Labour launches a new online tool: Council Cuts Calculator. Pop your postcode in (and email address – we’re in the middle of a short campaign after all) to find out how your household has been affected by locally-imposed austerity. The average fall in spending power per household in Tory councils, £128. And in Labour councils? Over £524. Mine shows Camden Council will have had a whopping £986 less to spend on my household by 2020. No wonder the Tories are headed for their worst ever local elections performance on May 3rd.